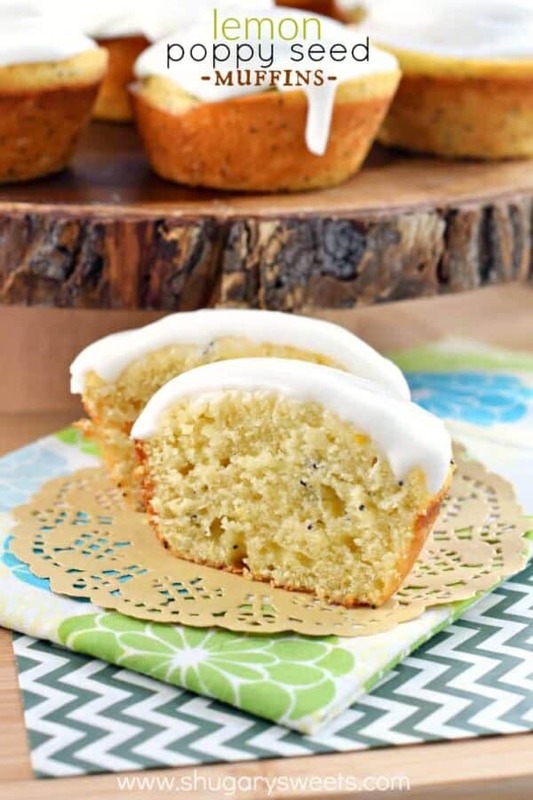 My Lemon Poppy Seed Muffins are incredibly soft on the inside with a burst of citrus flavor! 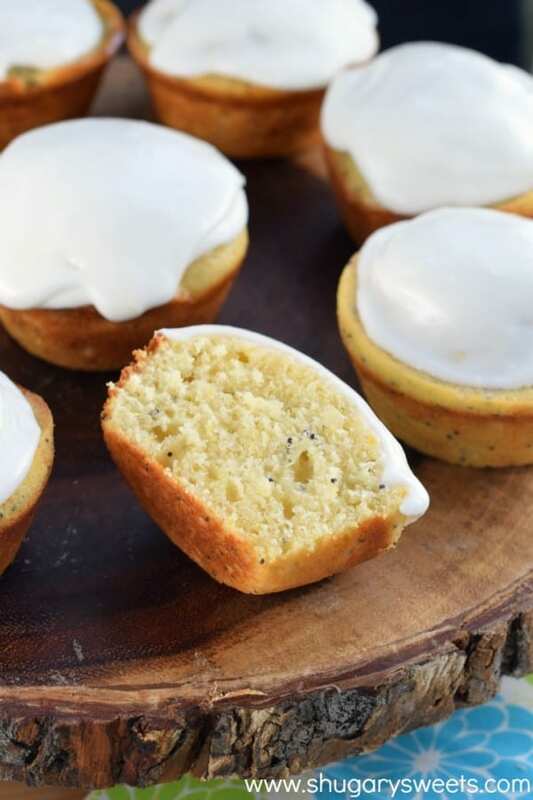 I’ve been craving lemon poppy seed muffins like it’s nobody’s business! 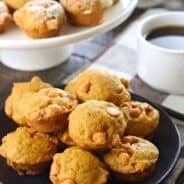 These flavorful muffins are the number one requested muffin flavor from my kids. Well, except for my oldest daughter who loves blueberry muffins! These muffins are bright and cheerful and remind me of sunshine. Oh the sunshine. How I missed thee! It has been dark and dreary here the past few weeks in Illinois, then last week the sun shone brightly. Granted it was only 19 degrees outside, but the warm sun coming in my windows was enough to cheer me up! Today’s Lemon Poppy Seed Muffins are based off my favorite lemon bread recipe! 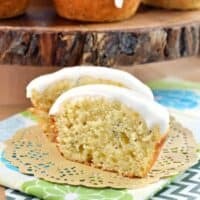 If you love a sweet citrus flavored breakfast muffin, then I bet these are going to be one of your favorites too! You can also use chia seeds in place of the poppy seeds to give them a *small* healthy boost! First up with these muffins are the lemons. To get that wonderful fresh citrus flavor you’ll want to zest 7 lemons. Yes, SEVEN. 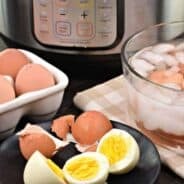 I use this Microplane zester to get things done! Once you’ve zested ALL of your lemons, now you’re going to juice them! Between the fresh lemon zest and the fresh lemon juice, your taste buds are going to sing! You want to create a muffin with the perfect crumb/texture! To achieve this, you’re going to beat your butter and sugar until fully blended (and the butter becomes pale in color), about 2-3 minutes. Add in your eggs, lemon zest, some of that lemon juice you reserved, and vanilla extract. Beat just until mixed in. Make sure at this point, you scrape down the sides of the bowl as well as the beater blades (the lemon zest has a tendency to stick to the beaters). Next, you’ll want to mix your dry ingredients separately. Alternating additions, you’ll add some of the dry ingredients, then the yogurt. I do this about 3 times until everything has been mixed in. Be sure you aren’t over-beating, I usually do this part by hand to avoid creating a dense muffin. You’ll finish by folding in the poppy seeds. If you use baking spray (the kind with the flour in it), you don’t need to use any liners in your muffin tins. 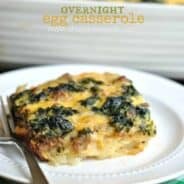 You’ll want to fill the tin about 2/3 full and bake them for 16-18 minutes. Check the center with a toothpick to make sure they are done! (If you want to make mini muffins, you’ll bake them for about 11 minutes). Once your muffins are done baking, place them on a wire rack (with wax paper or parchment paper under the rack). You’ll whip up a simple syrup (with sugar and lemon juice). As if your muffins weren’t moist enough, or had enough lemon flavor, this syrup takes them to the next level! Just brush it on each muffin, the muffins can still be warm at this point! Finally, because you’ve already gone this far into the world of citrus, you’re going to make these irresistible by adding a sweet, lemon glaze. Spoon some of that glaze over each COOLED muffin, and enjoy. Preferably with a cup of hot coffee (or tea, or milk, or cocoa). ENJOY. I know it sounds like a lot of steps, but they really aren’t hard. And you can freeze these muffins for later too! I usually freeze them after putting the syrup over them (but before adding the glaze). Once thawed, you can cover them in the glaze! Zest and juice all the lemons first. You should have approximately 1 cup juice from your lemons. Set aside. In a small bowl, combine your flour, salt, baking powder, and baking soda. Set aside. In a large mixing bowl beat butter with sugar until fluffy (about 2 minutes). Add eggs, lemon zest, 1/4 cup of lemon juice, and vanilla extract. Using a wooden spoon at this point, mix in flour mixture and yogurt alternatively until fully combined (in about 3 additions). Do not over-beat, just mix until incorporated. Fold in poppy seeds. Scoop batter into muffin tins that have been greased with baking spray. Fill each tin about 2/3 full. Bake in a 350 degree F oven for 16-18 minutes (if making mini muffins, bake for about 11 minutes). Remove from oven. Place muffins on a wire rack (with wax paper or parchment paper under the rack to catch any of the syrup/glaze). In a small saucepan, whisk together the simple syrup ingredients over low heat. Whisk until sugar is dissolved. Spoon warm syrup over muffins (they don't have to be cooled). For the glaze, whisk together the sugar, lemon juice and heavy cream. Add more or less cream to get desired consistency. Pour over cooled muffins. Allow to set (about 15 minutes). Enjoy. Store in airtight container for up to 3 days. ENJOY! 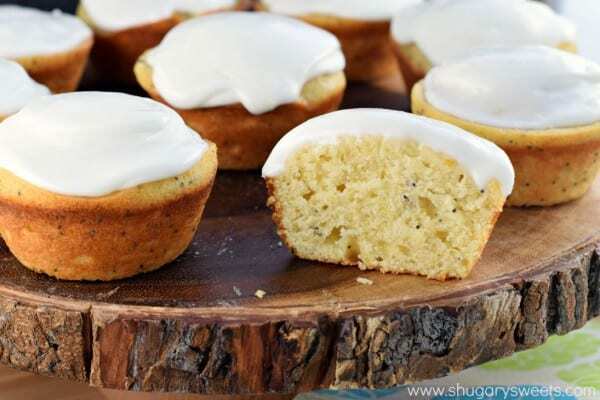 *If you want to freeze the muffins, do so before adding the glaze. Place the cooled muffins (with the simple syrup on them) in ziploc freezer bags. Once ready to enjoy, thaw completely then add the glaze. ENJOY. It’s been dreary here, too. I’m staring out at freezing rain right now. What a bummer. That’s why citrus is a life-saver! You eat these muffins and feel like summer has a chance of coming back! They look so lovely. And that glaze…yeah!!! Ohhhh these look terrific! Love that glaze on top. I wish I had a few to go with my coffee this morning! These muffins are stunning! 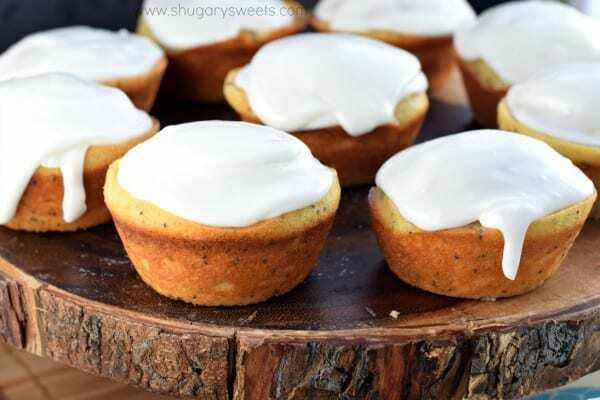 Love that glaze, especially- these remind me of the lemon loaves at Starbucks, but in muffin form and with delicious poppyseeds 🙂 Pinning! I think these look perfect for any time of day, breakfast or snack I would not care. Lovely! note to self: I need to experiment more with using soaks in my baked goods. I love poppy seed muffins – they look so delicate! Great recipe. Hope you had a great Valentine’s Day weekend. WOW!! These look so deliciously moist. It makes 1 cup lemon juice but the muffins have 1/4 cup, the syrup 1/4 cup, and the glaze 1/4 cup. So you have 1/4 left. Just wondered why juice 7 if all of it wasn’t needed? Every lemon gives different amounts! You’ll definitely want 7 lemons worth of zest. For that reason I juiced all my lemons. The first time I got 3/4 cup juice, the second time I got a full cup juice. So I made the recipe with the lowest number in case others don’t get as much lemon juice from their lemons. Hope that makes sense! Hi, can I make this a bundt cake? I have not tested that out, but if you do, let me know how it works! So bright and fresh! I can see why these are a popular muffins in your house! These sound yummy. Can’t wait to make them. When do I add the poppy seeds, after everything else has been incorporated? Thanks. I made this into a bundt cake and baked for 55 minutes. Turned out great. I halved the glaze ingredients. I put in 2 tablespoons of milk but should have used 1. The glaze was a little thin when I poured it on. All in all it was delicious!!! Oooh thanks so much for letting me know!!! I’m going to try it!